Story by Alistair Gardiner, originally published in the Kodiak Daily Mirror, republished with permission. KODIAK — Seafood processor workers from throughout the state gathered in Kodiak last week for a five-day class titled: Seafood Processing and Quality Control. The class, which was held at the Kodiak Seafood and Marine Science Center, focused on the latest ways to ensure that fish is processed in a way that ensures a high-quality product that is safe to eat. The class was facilitated by Alaska Sea Grant and taught by the University of Alaska Fairbanks’ Chris Sannito, as well as a few guest lecturers. It cost each participant $480 to take part. This was the third time the biennial class has been held. “We mix it up and try to stay relevant with what some of the newest topics are in the industry, as far as quality control and food safety hazards,” Sannito said. 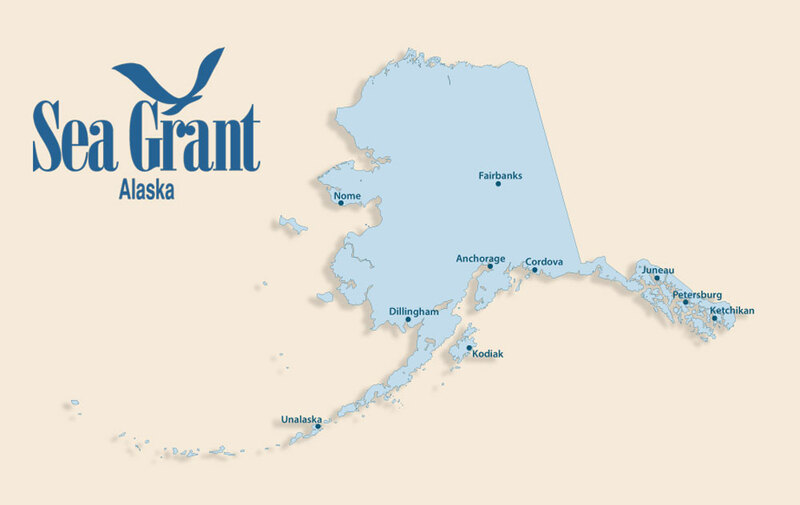 This year, the class garnered nine participants from different regions and companies from throughout Alaska. The week-long course featured sessions on nearly every aspect of quality control and food safety, including topics such as how to take pH measurements and conduct microbial testing. Sannito explained that the rapid food safety test kits allow the user to check for pathogens. These, he explained, are one of a number of new pieces of technology that give seafood processors more ability to do their own testing. The microbial rapid test kits weren’t the only new technology that that the class was introduced to. While food safety was a big part of class, methods to ensure a high-quality product were also on the curriculum. Sannito said that, because the class is made up of people from throughout the state, the sessions cover all different species of fish, from troll-caught salmon to trawl-caught fisheries. “We try to cover everything, so these people might be exposed to things that might not necessary happen in their area, but at least they’ll know about it,” he said. Of the nine participants in this year’s class, some work for larger processing firms, while others come from smaller plants that are just starting out. Diane Wiese came from Cordova to take the class. She works as the at 60° North Seafoods, an independent processor owned by her son John Derek Wiese and a fellow fisherman named Rich Wheeler. According to Wiese, the company started its first season in May of this year. Wiese is the product developer for the firm and will be in charge of quality control, which is why she took the class. Wiese said that although the class did give her all the tools she needed to do food safety tests herself the products sold by 60° North Seafoods will always be sent to a lab first. Another participant, Marisol Leal works for North Pacific Seafoods’ Sitka Sound Seafoods processing plant. Leal has been working in quality control at the plant for three years, and has just started as the plant’s quality assurance manager. According to Sannito, although the class was smaller than it has been in the past, the group benefited from a more individualized approach and the flexibility to do more work in the pilot plant and take part in a number of field trips.